At Blue Indian Kombucha we are committed to an environmentally sustainable, zero waste, regional only distribution model. All of our flavors are crafted around locally sourced ingredients, kegged in re-purposed Coca-Cola kegs, and sold exclusively on draft, NEVER bottled. 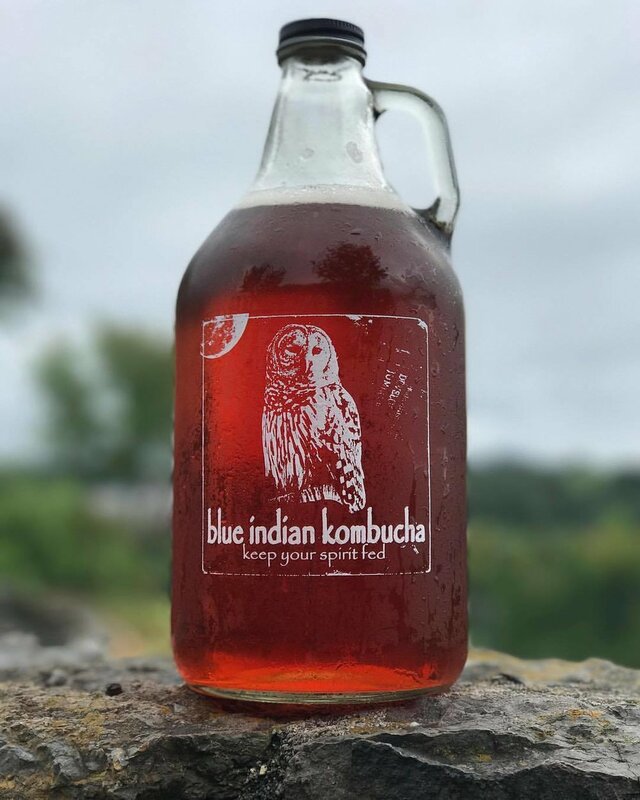 In purchasing Blue Indian Kombucha and one of our reusable bottles you can feel proud about your part in helping reduce waste and food miles while at the same time supporting Chattanooga’s amazing local farmers. THANK YOU! Keep refrigerated, don’t shake, and open your growler only as needed (effervescence will be lost with each growler open). Rinse growler and cap at last pour (hot water and a bottle brush suffice). Allow bottle and cap to air dry upside down on dish rack (dish washers ruin cap’s air seal). Powered by Squarespace. Background image by garuda screenprinting.